Check out these great-looking wall hangings from Brandenberry Amish Furniture. Amish artisans handcraft each piece. And they apply great skill and intricate detail. So you’ll find these rustic hangings practical, inviting and entertaining. 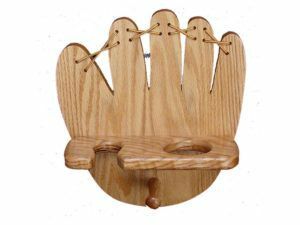 This Baseball Equipment Rack-Glove Shaped is made of solid hardwoods. It accommodates a bat, a ball, and a coat and hat. This Basketball Holder is the perfect way to give that game-winning ball the perfect perch. 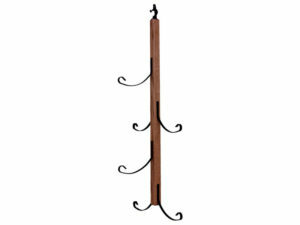 The wall hangings from Brandenberry Amish Furniture are durable and beautiful. Check out the Baseball Equipment Rack. It’s made of solid hardwood. And it accommodates a bat and a ball. Plus a coat and hat. 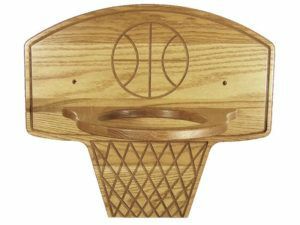 In addition, the solid hardwood Basketball Holder provides the perfect perch for that game-winning ball. Notice also the Basket Tree with Hook. Because it helps you create an eye-catching display with your decorative baskets. And if you’re relatively close to Shipshewana, Indiana, visit our store to explore our wide assortment of quality, Amish-built, solid hardwood furniture for yourself.